During college, eating ceases to be enjoyable. Grabbing a bite for that rumbling stomach eats up studying time we can’t afford to lose and food becomes merely fuel to make it through lectures and exams. 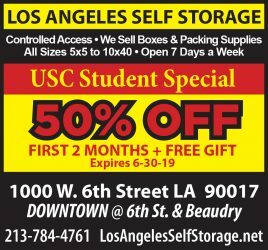 USC is well aware of this and has surrounded our campus with quick-fix sustenance centers — an abundance of vending machines, the much-loved dining halls and the food court at University Village. 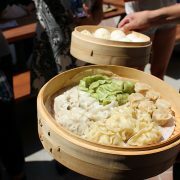 But because having the same Cliff Bar breakfast and Mongolian BBQ platter lunch gets old after the first few weeks, here are a few lesser-known on campus spots for when you have some coveted extra time to feed the beast. Located in Tutor Hall at the Viterbi School of Engineering, Tutor Hall Café features a static menu of sandwiches and salads that are made to order in front of you as well as a daily rotation of hot entrees such as Cuban chicken with black beans and plantains and curry chicken with carrots, potatoes and cauliflower. 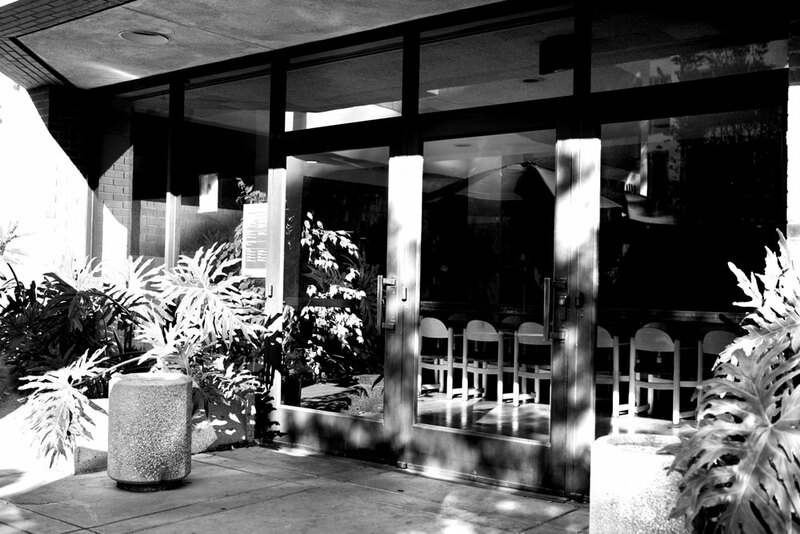 Indoor seating is available in Tutor Hall’s marble cavern, while the outdoor patio seating (with outlets for computers) is surrounded by a tranquil, shaded fountain. Plus, its built-in Peet’s Coffee counter and late weeknight hours (midnight Monday to Thursday!) make Tutor Café a perfect Parkside pit stop. Tucked away in the most southeastern corner of campus on the bottom floor of Popovich Hall, Popovich Cyber Café is one of the most versatile eateries at USC. With a fully stocked grab-n-go section (think Trojan Grounds) and a heavily manned open kitchen, Popovich provides busy Marshall students with everything from breakfast burritos to Columbo frozen yogurt. As the only place on campus to get a hot breakfast and have MSNBC blaring out of two flat screen TVs, Popovich Café feels more like a Manhattan cafeteria than a campus restaurant, so take your grub outside to the courtyard and pretend that Exposition Boulevard isn’t on the other side of the wall. Hidden in the far west corner of the basement of the Musick Law Building, the Law School Café opened in 2005 as part of the unveiling of the refurbished Asa V. Call Law Library located next door. The cafe has a huge curving counter that offers daily hot entrées, pre-made salads and some of the best paninis on campus. It’s a great stop any time of day as they stock breakfast pastries, frozen yogurt, coffee and an assortment of cold beverages. The Law School Café also has organic chips and snacks, decent vegetarian options and a huge mess hall so you can hit the laptop while you’re chowing down. Across the walkway from the Lyon Center, Café 84 is a college student’s food-court dream. Enter the turnstile on the west entrance of Kings Hall and the food options begin to feel overwhelming. Café 84 offers breakfast, lunch and dinner from places like Jamba Juice, Starbucks Coffee, Casa Italiana, Wahoo’s Fish Taco (a SoCal staple) and Krispy Kreme doughnuts. There is also a counter to get customized burgers, salads, pizza and wok-cooked noodle dishes as well as a variety of breakfast goodies (single-serving cereals and bagels) and refrigerators full of pre-packaged sushi, sandwiches and cold drinks. The Galen Center is hard to find not only because it shares its name with the gigantic sports complex on Figuroa Boulevard, but also because its location behind Heritage Hall makes it less conspicuous than any other eatery. Despite its unassuming real estate, this sports-themed dining center is one of the best places to eat on campus. Although it is mostly used by athletes and faculty, the Galen Center is open to the public for lunch from 10 a.m. to 4 p.m. — a rotating selection of the best hot entrees on campus (like New York steak and Chilean sea bass) are served from behind a cafeteria-style counter. The diner-esque eating area is lined with cardinal and gold booths, the walls are plastered in USC sports memorabilia and the room is surrounded by flat screen TVs all tuned to ESPN. Be careful when you drop by, though, as the facility is also rented out for team meetings, group dinners and post-game feasts.